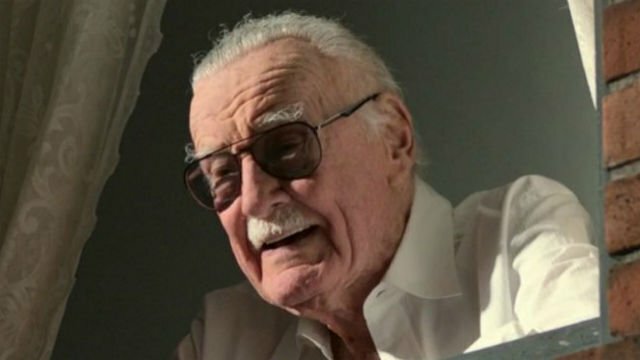 The last two days have seen comic book readers from all parts of the globe sing the praises of Stan Lee, who died on Monday at the age of 95. Lee’s jaunty disposition and memorable catchphrases made him a highly sought-after guest at conventions and other speaking engagements. As fans, we’re all heartbroken over the loss of someone who meant the world to us, even if we never knew him personally. But perhaps we can take solace in knowing the feeling was definitely mutual. A new video posted to his Twitter account today shows Lee doing his best to sum up exactly what his fans meant to him. You can hear what he had to say below. Following the world premiere of Avengers: Infinity War back in April, Lee officially stopped making public appearances. However, he did continue to maintain a fairly active online presence in the months before his death. With help from his management, the legendary Marvel co-creator launched a new iteration of his famous “Stan’s Soapbox” column. This time, Lee would address his fans in video form. Beginning in July, his social media team posted at least one new clip each month featuring Lee casually chatting in the comfort of his own living room. Though it was clear that his health was in decline, it was obvious that Lee had no plans to stop doing what he loved. Whether hyping new projects or waxing nostalgic about Marvel’s glory days, he remained the proud ambassador for the medium he helped revolutionize. You can share your own response to Lee’s video in the comment section below.